Former Head Coach of Maroon Panthers 8 yrs. 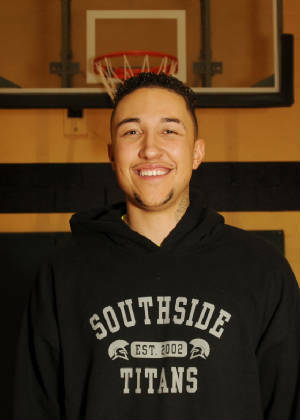 Founder of current Southside Titans 15 yrs. Original Asst. 1yr to current Head Coach 14 yrs. we can have fun and play afterward. Laid back and reserved when I'm not coaching. Straight up and about the business on the field. My Titan boys will be discplined young men while with me. We play to win on and off the field. No exceptions. I thrive on tough kids. I develop the rest to be tough. I promote strong unity within our football team. It is mandatory. It teaches our young men to believe in themselves when others don't. I need less than two uninterrupted hours per day with them. The remaining time after practice is fellowship with their parents. To continue to play for the Southside Titans, keep your grades up. It is mandatory that you stay out of trouble and respect your parents. If you have a child who is 5 years old and was born before 5/1/2012, he can still play up with our 6 year old Titans. Southside Titans Asst. Football Coach 1yr. 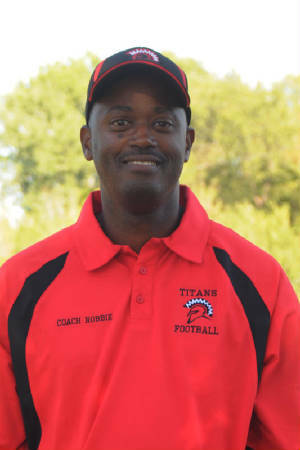 Southside Titans Head Basketball Coach 1yr. I went to Coyle High School just outside Langston, Ok. Played football as a middle linebacker, fullback and offensive guard. Played basketball as a point guard and shooting guard. I love teaching kids something positive. I also want them teach them things they can do and achieve in life. If you have a child who turns 7 years old 5/1/2010 or any day afterwards, he can still play with our 6 year old Titans. "Representing like a family by having fun with the things we set out to do in the public community sphere of influence. Representing like a family by keeping GOD in our ministry as we create sportsmanship, develop characters, and maintain discipline amongst our coaches, children, adults and parents."